For the love of Greece! 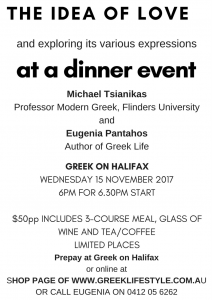 My Taste of Greece Dinners have enjoyed some amazing speakers sharing their knowledge in a relaxed long-table symposium style event where discussion happens over amazing Greek food and superb Greek wine. 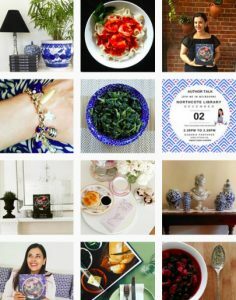 Topics have included the Mediterranean Diet, Blue Zones, and Body Beautiful, and future topics will include Life and Death, The Idea of Love, and The Joy of Food. 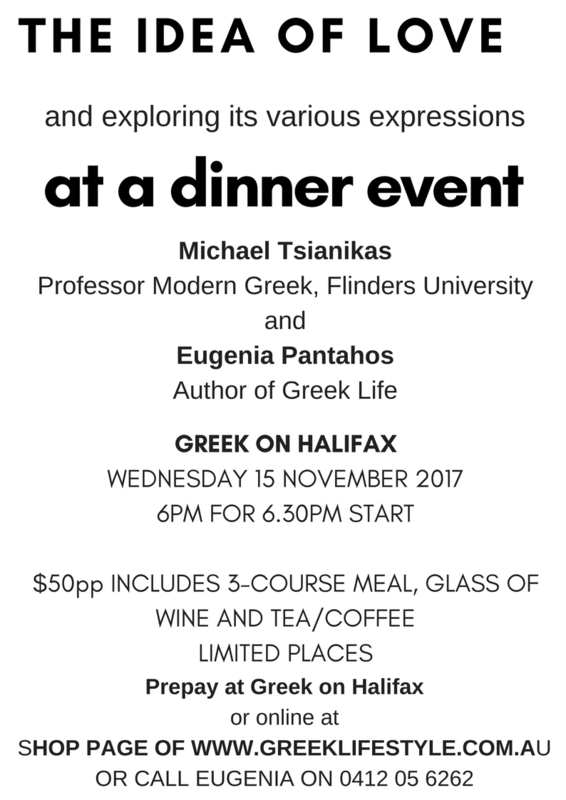 If you have a topic that that you wish to propose, be it art, drama, lifestyle, wellness, food, psychology and health, then I’d like to hear from you, as I’m now planning for 2017 with a view to take the Taste of Greece dinner events to other Australian cities. I embrace diversity and am supportive of finding the ‘right’ person to join me as a speaker and thereby fostering a working environment that is both productive and inclusive. Message me here with your idea and contact details.